We work mainly with ambitious, premium brands and retailers across the home and garden, fashion, health and beauty, and food and drink sectors. Below are just some of the brands we are currently and have had the pleasure of working with, along with links to case studies. Following a full growth accelerator project we now consult at board level on retail strategy to boost online growth and brand expansion. Read more in our case study. Asquith appointed us to consult at senior level on their digital and retail strategy to achieve online growth. Read more in our case study. Following a customer insight project, Donna Wilson appointed us to consult on her digital marketing strategy to achieve online growth. The French Bedroom Company appointed us to consult at board level on their digital, retail strategy to boost online growth. We completed a full customer insight and growth accelerator project to map out a successful business strategy and now oversee the delivery of all marketing. Also Home appointed us to consult on their Christmas 2016 strategy to increase sales and online growth over the festive period. 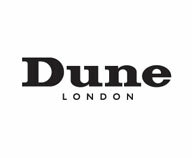 We developed an insight-led, natural search strategy for Dune aimed at increasing brand awareness, traffic and customer acquisition. We smashed revenue targets for Lulu Guinness since we started work for them on their paid search campaigns in 2012. We looked after paid search for this iconic brand, Tom Dixon, to grow their direct channel. Since working with them, website revenue went up 220% YOY. We delivered an insight and strategy project into the revenue potential of natural search for this iconic lingerie and nightwear brand. Read more in our case study. Furnishing the best homes since 1810, we worked with Heal’s on a blogger outreach project for their new collection of designer sofas. Our insight-led search strategy helped deliver a 92% YOY increase in ‘ready-made curtains’ revenue. Read more in our case study. 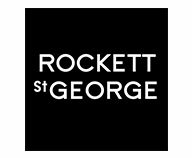 We completed a customer insight project for online gift & interiors emporium Rockett St George which helped achieve a 20% sales increase. 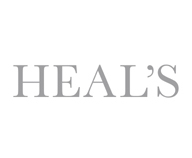 Percy & Reed appointed us to consult on their retail strategy and direct ecommerce operations. 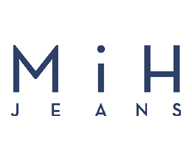 We delivered a full customer insight and experience project for this luxury British denim brand. Cult Beauty is an online beauty boutique. In 2015, we helped them achieve a 42% increase on their ROI target. We were appointed to deliver an insight and digital strategy project for Discounted Heating, a leading online retailer of plumbing and heating supplies. We delivered an insight-led digital strategy for this leading supplier of high-performance life science reagents to the global research community. Read more. We deliver strategic support on Fermoie’s retail strategy to boost online growth. 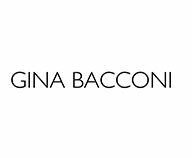 We supported Gina Bacconi with their search strategy when they launched their new website. Read more in our case study.